Timberland Endeavour 2007. Renault 2.5 tdci with Automatic gearbox. New Cambelt. Similar to the Auto-Sleeper Kemerton. 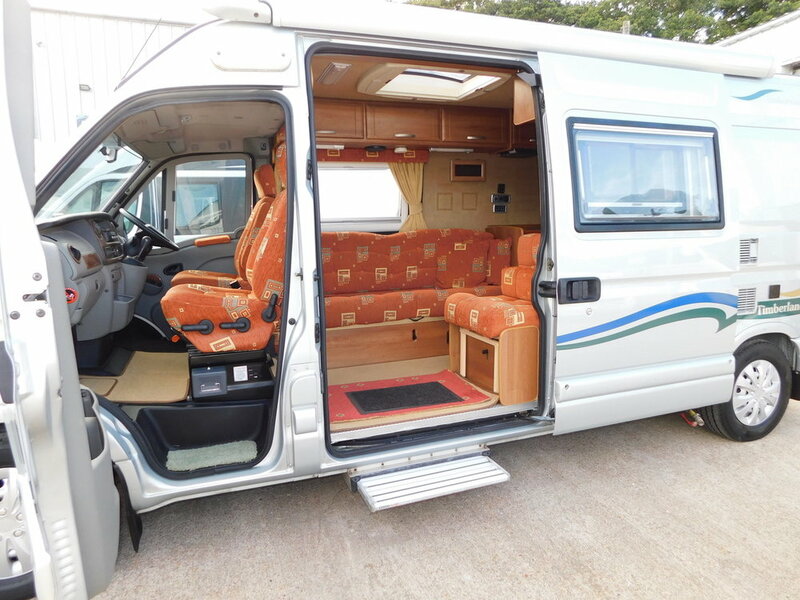 This Wonderful 2 Berth Motorhome is Located in Hayling Island, Hants. With Only 48,465 miles from New. 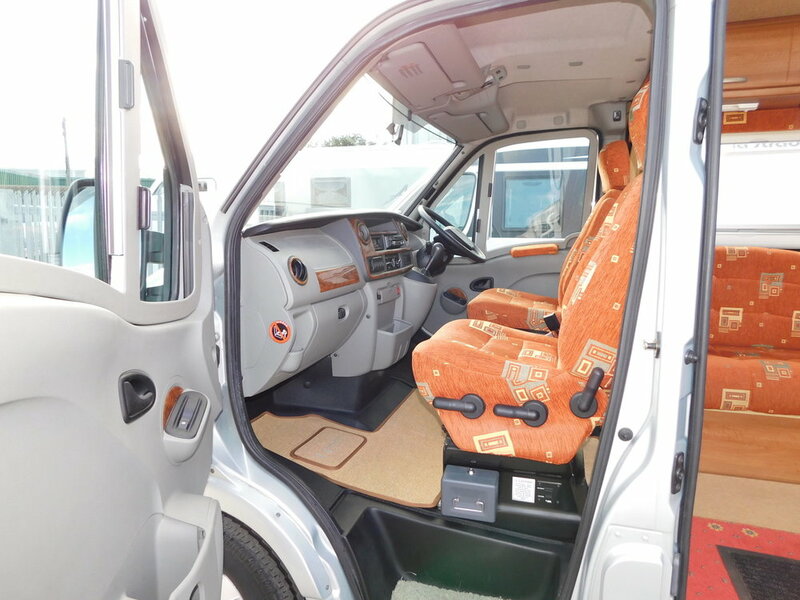 You get a great spacious open feel which is Light and Bright thanks to the large widows all round and the large Electric Sunroof over the Lounge area. You can either make up a Large Double Bed, or make up 2 Single Beds, whichever suits you best. We have a very large Sofa and an additional single seat with a seat belt which form the lounge area. The two front driver seats are Captains chairs and also Swivel to become part of the Lounge area. 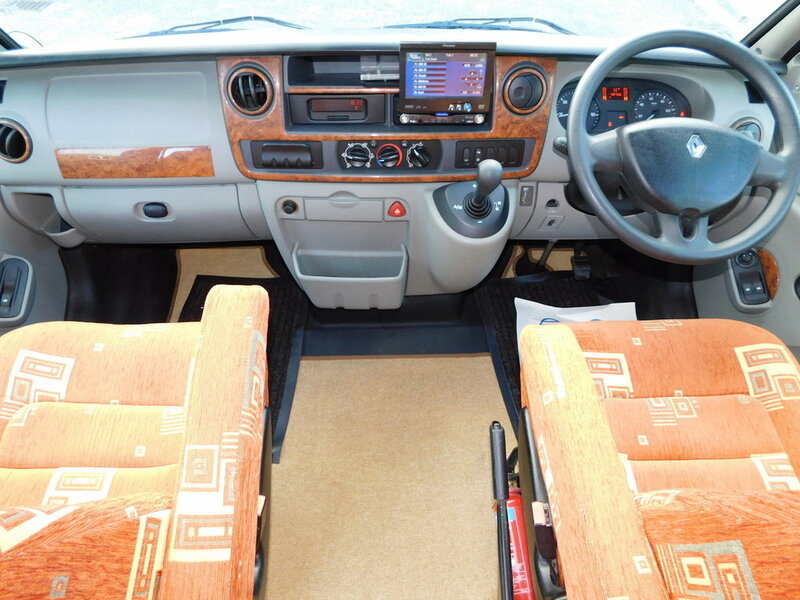 The Cab features a built in Satellite Navigation system, Plus electric Windows and Door Mirrors. We also have the Cab Air Conditioning. The Kitchen has lots of Worktop space and also includes a Full size Oven, Grill and Hob as well as a 3 way Fridge with a Freezer compartment. There is also a Sink with a drainer. The Washroom features a Toilet with a Thetford cassette as well as a good size fold down Washbasin which is big enough to shave in. We also have a really good Shower. 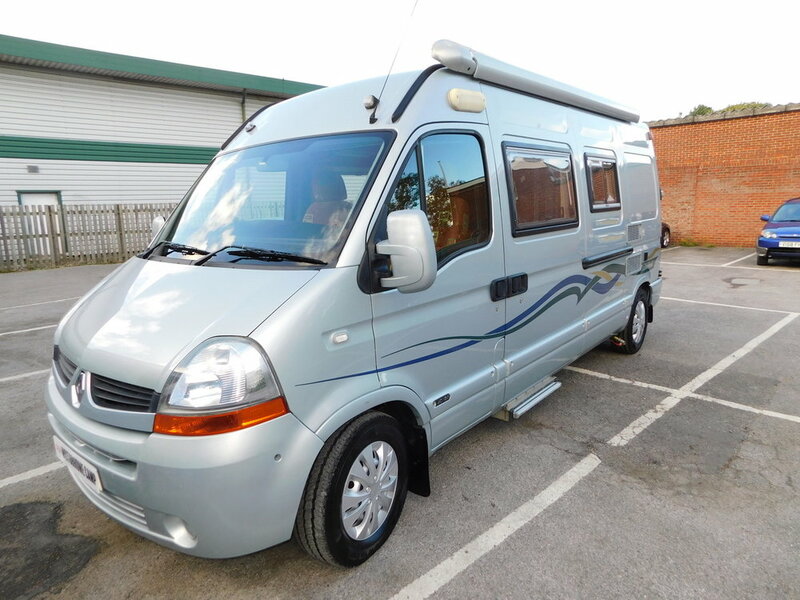 There is a spacious Wardrobe and Plenty of Storage Space throughout. 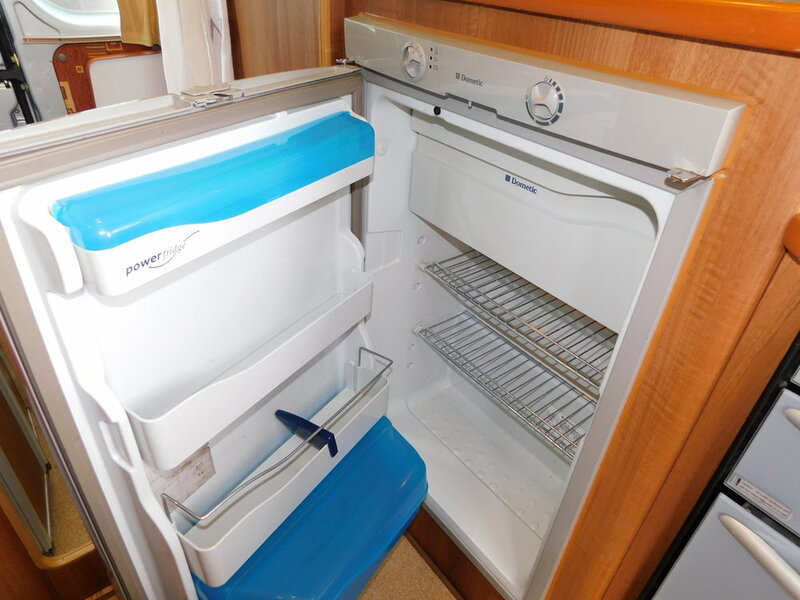 We have Eberspacher diesel Central Heating and Truma Hot water operated by either gas or electric. We also have Double Glazing and Quality Night and Fly Screens all round and the cab features sliding Night Blinds as well. 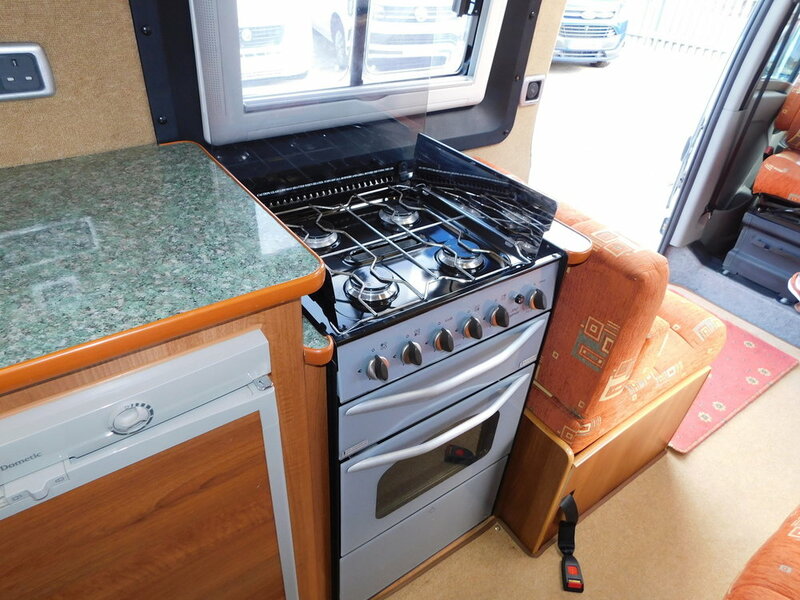 To save you money we also have fitted Large wind out Awning fitted to the side of the Motorhome as well as a Tow bar, a Solar Panel, upgraded Leisure Batteries, a drop down TV, Sat Nav, TV Aerial, and a Fitted Lockable Safe. We also have fitted a Refillable LPG gas tank, and recent New Tyres all round. Electric operated Entrance Step Complete with Full Service History this really is a Superb Motorhome. I would be happy to consider any Part Exchange that you may have.